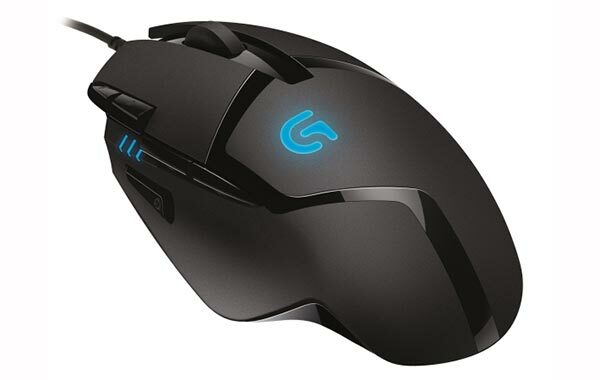 Logitech G402 Hyperion Fury "the world's fastest gaming mouse"
The Logitech G402 Hyperion Fury Ultra-Fast FPS Gaming Mouse, to give it its full title, utilises two Logitech technologies to achieve its performance. The Delta Zero sensor technology and the Fusion Engine hybrid sensor technology combine for the first time in this product to give you unbelievable accuracy and speed. The so called Fusion Engine is powered by an on-board dedicated ARM processor that takes data from the optical sensor, gyroscope and accelerometer. Logitech says that this processor is used for both achieving the very fast tracking speeds and also allowing users to save and play back macros which can be easily customised using the Logitech Gaming Software. 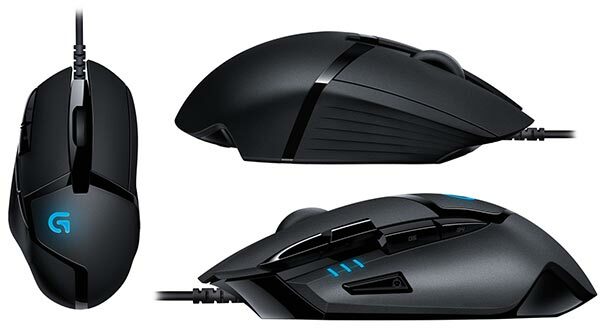 The mouse also offer the following great features that should appeal to the majority of gamers; 8 programmable buttons, 4 on the fly DPI settings, a 1 millisecond report rate and comfortable rubber grip contours. The full official specifications are listed below. The Logitech G402 Hyperion Fury Ultra-Fast FPS Gaming Mouse works with Windows Vista or newer Windows OSes and comes with a 2 year warranty. The only common gaming mouse feature it seems to lack is an adjustable weighting system. It goes on sale in August for $60. I just bought a deathadder. Have a couple of G400 mice at work and they are also excellent, but as with all of these mice: THEY ARE TOO SMALL!!!! Piddly little things. PLEASE logitech, razer and co, make a proper sized mouse for people with normal sized hands! Not these tiny mice. They need to be at least 25% larger in length and width than the G400/deathadder!! Macro buttons aside, I've always wondered if these “gaming” mice actually live up to the billing - do these high dpi's actually make a noticeable difference? That said, I'm not in the market because I'd need something wireless, (SWMBO != cables snaking all over the place). In the meantime I'll just make do with my AnywhereMX (work) and MX1000 (home/gaming). Actually (FPS) gamers don't use high dpi but the mouse need high dpi to not “drift” on the mousepad. I must be an odd ball then as i don't move the mouse over great distances, i prefer high sensitivity so i can perform actions with as small a movement as possible, i think it's called being a twitch gamer. The same way higher than average mice can have adjustable weights, so could there be “casings” of different sizes for people with different hands, which would require the base mouse itself to be rather small since it needs to be compatible with as wide a user base as possible. 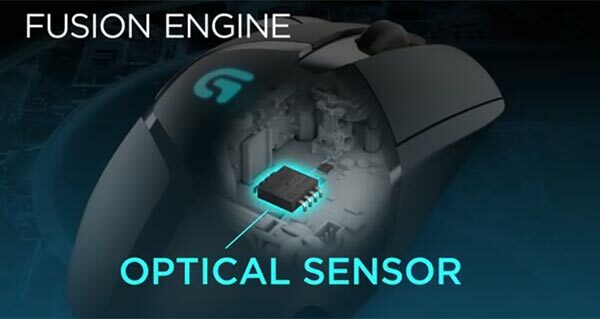 I personally prefer some movement range, and the main selling points on gaming mice (both for gaming and work usage) is the 1000Hz polling rate and accurate sensor reads. I've been using a Razer Copperhead for years, it's truly an improvement to have a high polling rate and its 2000 dpi ceiling is more than enough for what I do, especially since I usually game at 1600 dpi and work at 400-1600 dpi. Truly humongous dpi values are really geared toward very high resolutions. IMHO, 1080p and below don't really need anything higher than 3200 dpi.